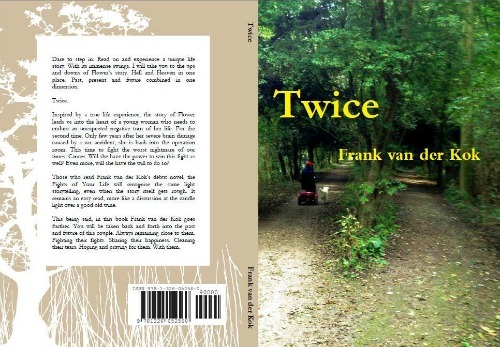 Frank van der Kok is a Hungarian writer, currently living in Netherlands. Author of Fights of Your Life and Twice, a series of fictional memoire. 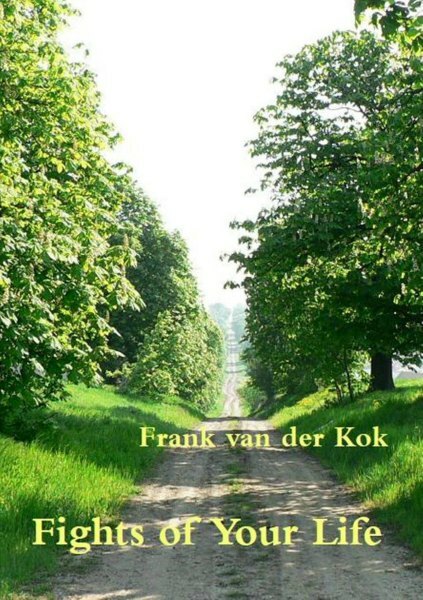 Frank van der Kok's dèbut novel, the Fights of Your Life was first released in Hungarian in September 2013, to be then published in April 2014 in English as well. It tells the story of a young woman fighting for her life after a severe car accident. While the story is based on real events from the author's recent life, the book still remains fictional, showing the events in a subjective manner. The story of Flower now continues. Twice, as the title of the new book suggests. Only years after recovering from a severe brain damage, Flower is now back in the surgery rooms. To fight the biggest nightmare of our times - cancer. Will she survive? Twice? "Amazing book, just like the key players in it. I laughed a lot at the well placed irony, but I also cried a lot. Fantastic reading." "While reading this book you will realise how insignificant and unimportant dreams and wishes we follow at times. Those who never had to go through anything similar will hopefully go home and hug their spouse and children, reconsidering their values." "I met several people who didn't want to read this book, expecting it to be a depressing story; a story that would take their joy of life and energy for weeks. But then after finally reading it they changed their views completely. The book gave them strength and faith. And a completely new viewpoint on life." Follow Frank van der Kok in all major social media platforms. Dare to step in. Read on and experience a unique life story. With its immense swings. I will take you to the ups and downs of Flower’s story. Hell and Heaven in one place. Past, present and future combined in one dimension. Inspired by a true life experience, the story of Flower leads us into the heart of a young woman who needs to endure an unexpected negative turn of her life. For the second time. Only few years after her severe brain damage caused by a car accident, she is back into the operation room. This time to fight the worst nightmare of our times. Cancer. Will she have the power to win this fight as well? Even more, will she have the will to do so? Those who read Frank van der Kok's dèbut novel, the Fights of Your Life will recognise the same light storytelling, even when the story itself gets rough. It remains an easy read, more like a discussion at the candle light over a good old wine. This being said, in this book Frank van der Kok goes further. You will be taken back and forth into the past and future of this couple. Always remaining close to them. Fighting their fights. Sharing their happiness. Cleaning their tears. Hoping and praying for them. With them. "That face, that smile, as she glanced at our house. It seemed like all the problems of the world, all her very present and very actual pains, all her harsh fights of the past 8 months, all the doubts regarding her future – they just all vanished. She was thrilled. And we were extremely happy. For her." 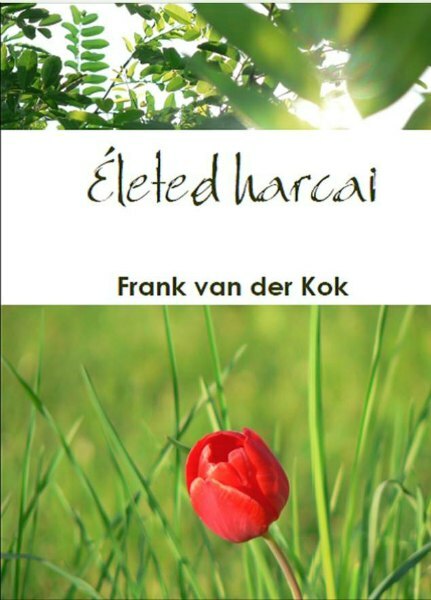 Frank van der Kok tells the touching, yet realistic story of a young woman, Flower, fighting for her life and future, following a severe brain damage. Based on a true story. Az Életed harcai egy igaz történeten alapul. Egy balesetet szenvedő lány története, aki szeretteivel együtt vívja meg élete harcát. A történet róla szól, de nem neki. És nem is csak hasonló sorsú társainak. Az élet nagy harcaiba látunk bele, ki-ki megtalálhatja benne saját érzéseit, félelmeit, örömeit és reményeit. Ajánljuk mindenkinek aki nehéz pillanatokat él meg. This book, The fights of your life, is written in Hungarian. It tells the story of a young woman who suffered an accident and therefore was forced into the fight of her life. Based on a true story, the book gives insight into the feelings, worries, happy moments and hopes of a true fight. The fights we all encounter one way or the other in our lives. We recommend it to all those who are going through such a difficult period.